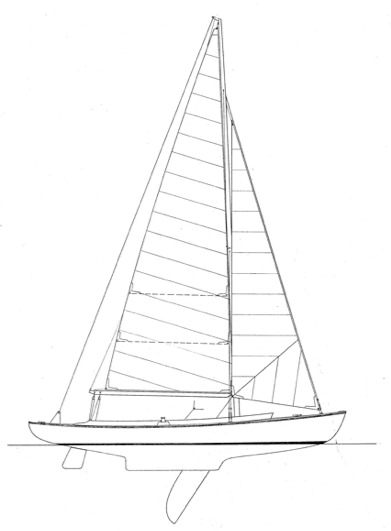 Speed, good looks, and comfortable seating were the designer's main criteria for this double-ended centerboard daysailer. Construction: Cold-molded over strip-planked inner skin. Alternative construction: Strip, carvel planked (transom stern). (cb up) - 1' 10" (cb down) - 5' 9"